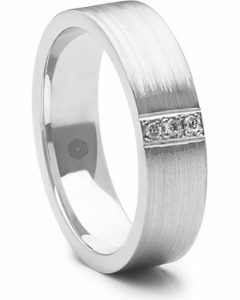 If you’ve had a look through our whole collection, you will have seen that we have an incredible range of wedding bands for men. 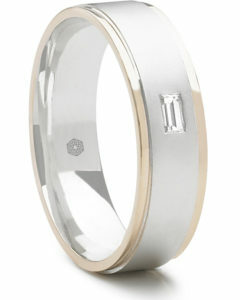 From plain rings in a number of styles, to laser cut rings with various intricate patterns on to diamond set rings. There’s so much to consider when purchasing a wedding ring that will be worn everyday; starting at the design and metal you would like – do you want it to match the metal of your watch? There’s also lifestyle considerations; an active lifestyle or if you’ve got a more physical lifestyle, you might want to choose a harder metal such as platinum as opposed to gold which is softer and might suffer from more damage. 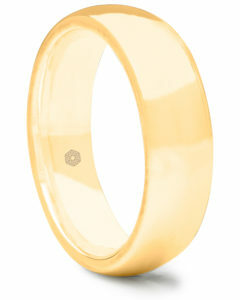 Plain bands are traditional and beautiful in their simplicity, but there are still options within the plain bands; different shapes and various precious metals. The court ring has a curved inside and a curved top whilst a D Shaped ring sits flat to your finger but still has the curved top. The flat court has a curved inside and a flat top whilst the flat is exactly what it sounds like – flat on all sides. The options don’t stop here – the width is still a talking point and, since we do bespoke rings so if you’re wanting a plain ring with some customisation such as diamond setting, we can certainly do that too. 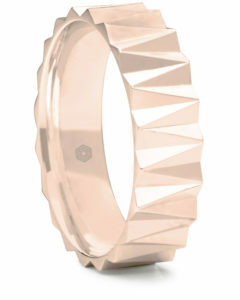 Our laser cut rings are created by state of the art technology that can create any pattern on our precious metal rings. 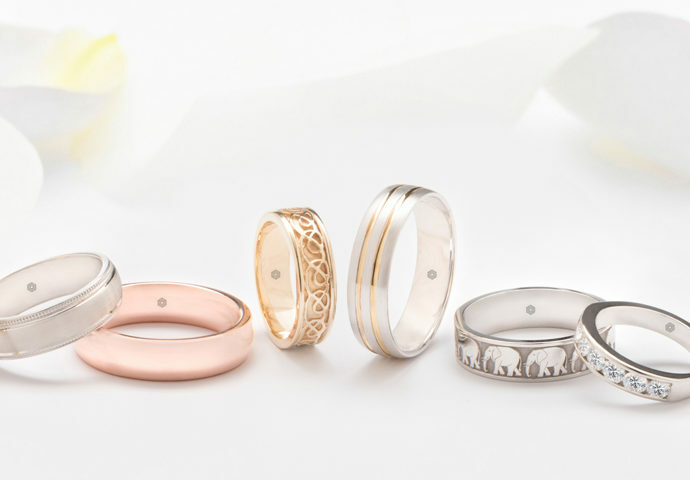 We’ve featured a few of the designs here – the Langton ring on the left is an incredible wedding ring which can feature any tailored combination of scripts or font. Whether that date is your wedding date, partners birthday or the date you first met, it can remain special and secret to just you two. 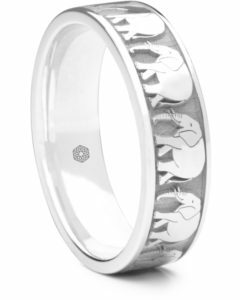 The Castle ring which features a herd of Elephants around the entire band, as well as being a stunning wedding ring, holds meaning as it goes back to the old saying, ”an elephant never forgets.” Never forget the beginning of your love story as you look forward to many more years to come! 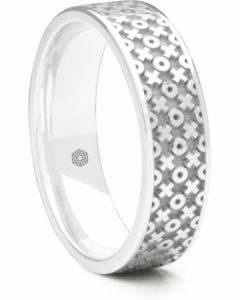 The Southbank ring has an X and O pattern around the entire band, which was created by our jewellery designers after they were inspired by the London skyline. A London company, both our refinery and our Hatton Garden store are in the capital and it’s a very special place to us – who doesn’t love the eclectic city of London; we just had to dedicate at least one ring to it! Add a little sparkle to your ring with a diamond set ring. 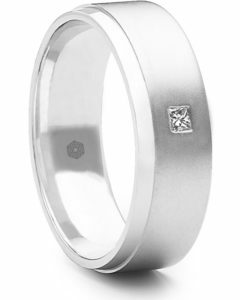 We have a whole range of mens rings with diamonds set into them. We have various rings which have different numbers of diamonds – from one glittering in the center to three which represent those three little words… which would you choose? From left to right, the Admiral features a baguette diamond; rectangle in shape it has slightly clipped corners which add extra facets that overall increases sparkle and shine from the diamond. The Brompton has three two point diamonds going across the width of the band – the band itself has a brushed textured finish. The Oratory features one diamond, this time a five point princess cut diamond, which is set to have the optimum sparkle and depth to the diamond – you could spend hours twisting it this way and that catching the light to make it sparkle! 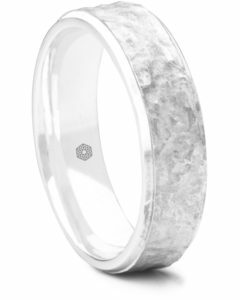 The band of the Oratory has a wet sand blasted finish which one highly polished angled edge to add an extra textured element to really make this ring stand out. Our Diamond Cut rings are created by our master craftsmen using diamonds to hand cut the patterns and detailing within this collection of rings. From left to right, our Carlyle has a matt hammered effect down the center which is framed by polished edges. 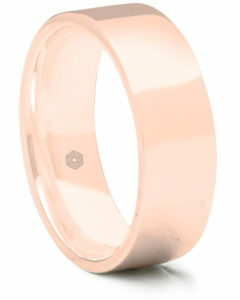 Prince Harry opted for a Platinum wedding band with a textured effect just like this one. 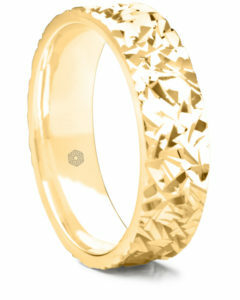 Our yellow gold Draycott ring is created by the diamond cut flicking at various angles which gives a really cool cracked ice effect around the entire band, it gives so much depth to the ring to really make an eye catching piece of jewellery. Our Walmer ring features twenty deep alternating V cuts around the band – the end result is that it’s full of texture and really stands out as a ring different to the rest, we love it in all the precious metals it’s available in, above, it’s pictured in Rose Gold. 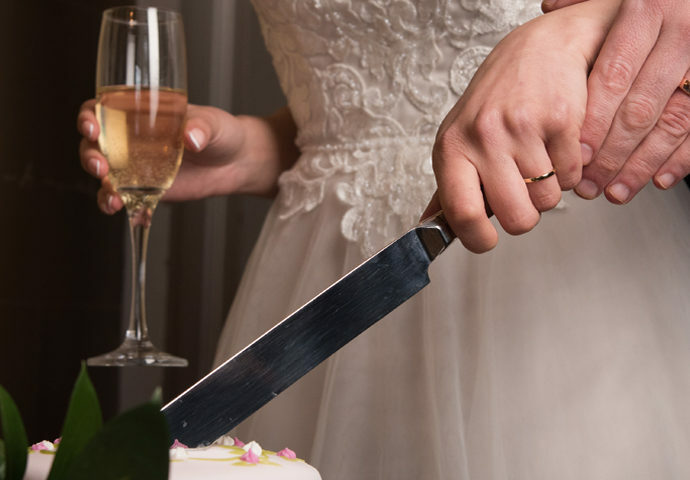 Though in modern weddings, it’s expected men to receive a wedding ring with their vows, this wasn’t always the case. 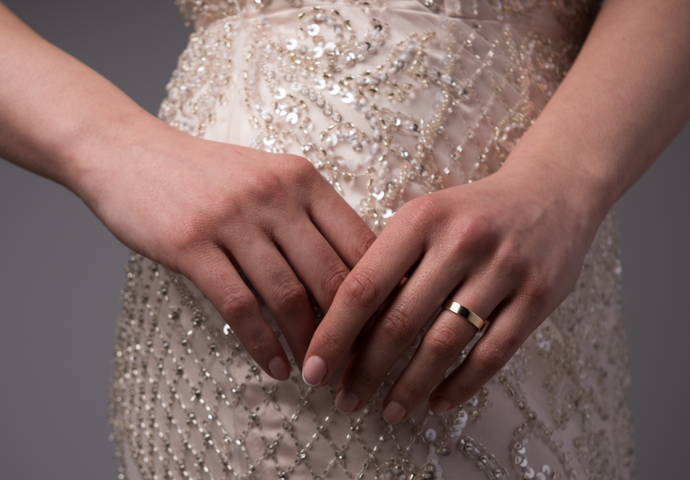 Brides have worn wedding rings since Ancient Egyptian times, but only in the latter half of the last century is it expected of men to do the same. 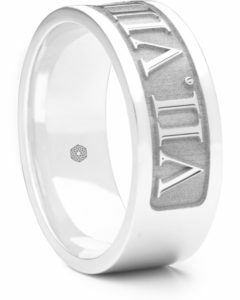 It’s surprisingly World War II that caused the beginning of men wearing the rings for an incredibly touching reason of keeping their sweethearts with them with the token of love whilst away fighting. The sentiment is a beautiful one and remains today; though it’s a physical reminder of the vows and a physical representation of love, it’s so much more than that. It’s a gift from your beloved that symbolises your devotion to each other and promise to spend your life together – the ultimate symbol of love. We’ve picked out a few rings here just to show you the variety within our collection, but make sure to have a look at our whole collection!